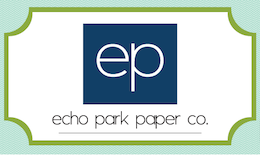 This week I am featuring Echo Parks Creepy Bats 6x6 stencil which I have stenciled onto white card using Black Soot Distress Ink & an ink blending tool. The inky orange background was created using the alcohol inks I received in Simon Says Stamps October Card Kit. I'm definitely not an inky girl but I enjoyed having a go at using alcohol inks & I love that this card kit got me to step outside my comfort zone & try something new! I didn't have any of the alcohol blending solution to add to my background so I used my copic colourless blending solution as I figured they would probably work the same being as both are alcohol based & it worked a treat! The image is from Simon's adorable Hey Pumpkin stamp set & I coloured it with my copics and fussy cut it, then added it to a die cut of one of Simon Says Stamps large tags. 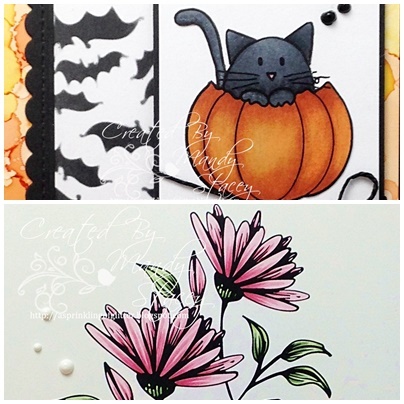 The sentiment is from the same Hey Pumpkin Stamp Set and was stamped in Simon's Black Pigment Ink. Elizabeth Craft Designs double sided tape, Tonic Guillotine, Acrylic Blocks, Tonic Scissors, Aileens Tacky Glue, X Press It Copic Blending Card, White Card Stock, SSS Scallop Stitches Wafer Dies, Black Card Stock, Hemptique Black Cord Twine, Ebony Black & Simply White Crystal Drops, White Fun Foam. I also have a very quick card to share which I created using one of the pretty images from Simon Says Stamps October Card Kit & has been coloured with my copics. I love the cleanness of this card and literally created it in minutes! Life has been extremely hectic the past couple of weeks so I've not had any time to create until yesterday when I made sure that for the first time in what feels like ages I had a whole day at home so I could relax & play my craft room. My daughter Jodie was very poorly in hospital for a while & is now thankfully resting & recovering slowly at home. It will be a long time before she is well enough to go back to running her pub so in the meantime the rest of our family are all taking it in turns to learn how to hold the fort & keep the pub open for her. I always knew it wasn't an easy job to do but I had no clue about all the "behind the scene jobs" involved! I've learnt how to do a line clean, change a barrel, order the beer, change the gas for the pumps etc, & what with still doing my own job as well a day at home yesterday was very much needed! The pub trade is definitely not a profession for me but I am quite enjoying working some shifts there, I would just like a bit more energy & a few more hours in the day so I still have some "me time" to create! Darling Halloween card, Mandy! Love the black and white and orange! Sending along best wishes to your daughter for her recovery. Creating autumn colors using alcohol inks looks like a wonderful idea cause you can get bright colors with alcohol inks. TFS! Love your halloween card with kitty! Gorgeous Halloween card, Mandy! Love the orange "smoosh" background and the little kitty has always been one of my fave of our Halloween images. Love your October kit card too!! So elegant and lovely! TFS! Love your Halloween card I`ve just made a creation myself with light in it love for you to come look at my blog .